Let her know she is loved with this I am loved bracelet. 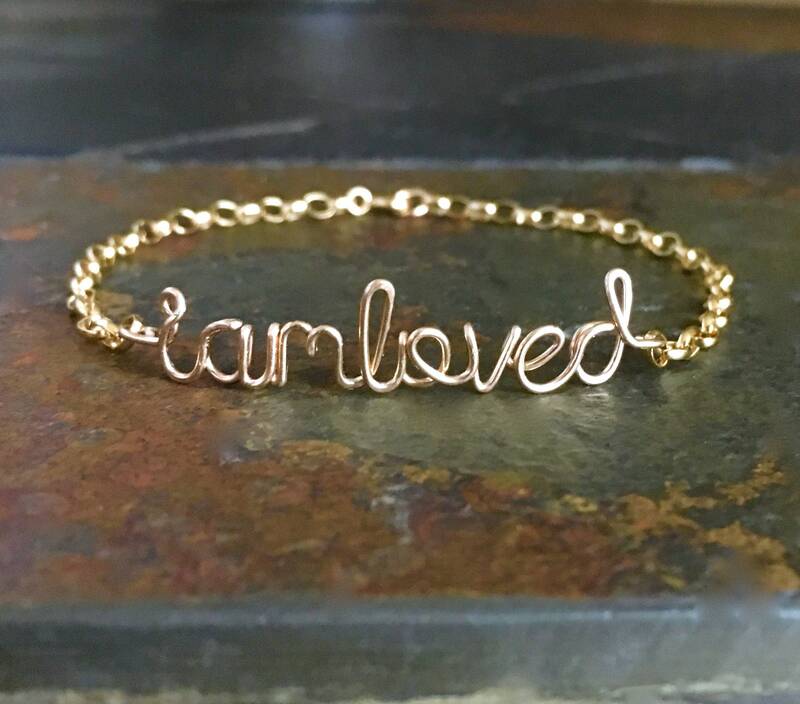 This custom gold filled bracelet reads "i am loved" in lowercase letters. It is hand forged from very thick gauge 14k gold fill wire, heavier wire than I use for my normal bracelets and comes strung on a strong thick link 14k gold fill chain. The size of the links are about 5mm x 4mm. The length of the bracelet pictured is 7 inches, however, the length is customizable from 5 inches up to 8 inches. Want a different phrase?? Please let me know what phrase or name you want in the notes box at checkout. Need it with the first letter in uppercase only? Just let me know in the notes to seller box at checkout. Questions about size? 7-7 1/2 will fit most adult women but if you aren't sure, take a piece of yarn or string, wrap it around your wrist and where it sits loosely, measure that length with a ruler. Your bracelet will arrive gift wrapped. Brooklyn Necklace. 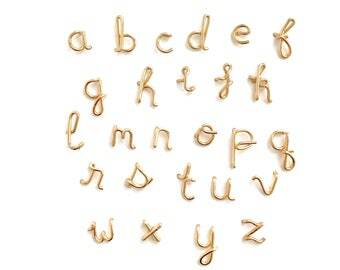 Gold Script Brooklyn Wire Necklace. 14k Gold Filled Brooklyn NYC Necklace. Custom Name Necklace. Aziza Jewelry. Loved Peridot Gemstone Bracelet. Green Peridot Bracelet. 14k Gold Filled Love Wire Script Bracelet. August Birthstone. Genuine Birthstone. Rose Gold Filled Initial Necklace. 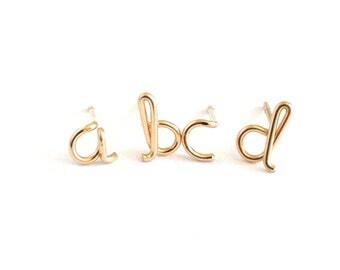 Alphabet Initial Pink Gold A to Z Letter Pendant Script. Aziza Jewelry. Zodiac Bracelet. Virgo Gold Bracelet. Astrology gold bracelet. 14k Gold filled Word Bracelet. Aziza Jewelry. Love Necklace. Sterling Silver Big Love Necklace. Gold YOLO Necklace. You Only Live Once Necklace. 14k Gold Filled YOLO Necklace. Lowercase Yolo Script Calligraphy Necklace.